This is a short retelling of a fantastic sequence from the medieval Grettir’s Saga. The original tale of Grettir Asmundarson was written at some time in the early Fourteenth Century, and is one of the finest of the Icelandic Sagas. Grettir is the strongest man in Iceland. He is brave and good-hearted, but also impetuous and quick-tempered. Despite great deeds, such as his fight with Glam, his temper frequently gets him into trouble. Eventually he is made an outlaw and is hounded to his death. 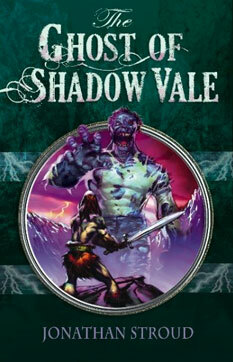 All the places in the saga, including Forsæludale (Shadow Vale), are real and can be visited today. In fact, part of the power of Icelandic tales is the way that supernatural things, like ghosts, are mixed with actual places and ordinary lives. Grettir’s Saga was one of the stories that inspired me to begin my novel Heroes of the Valley, which also features this kind of mix. Icelandic ghosts are often more like zombies – swollen, reanimated corpses with terrible strength – as shown in Siku’s artwork here.